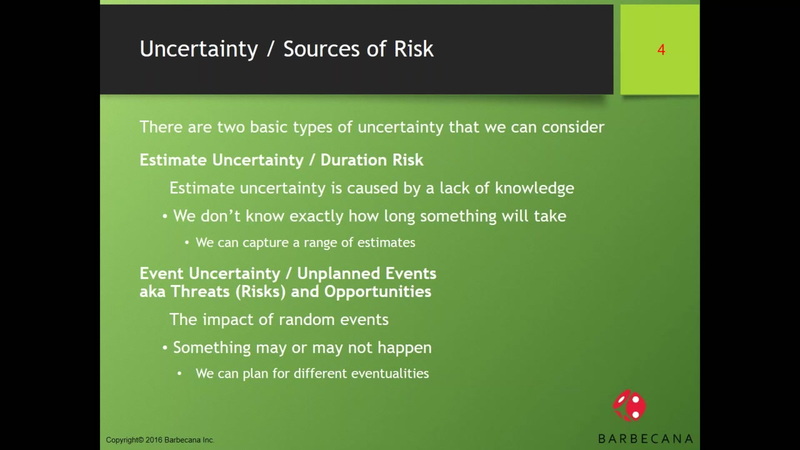 There are varying degrees of uncertainty associated with everything we do. Alarm clocks are generally more predictable than our drive to work while that drive is often more predictable than say software development. Individually the uncertainty can be managed but the picture becomes a lot more complex when multiple tasks are occurring at the same time. What does trying to manage multiple tasks do to your chance of success? This presentation will look at how some simple simulations can assess the impact of uncertainty and produce far more realistic forecasts for the future. This reduces management effort, saves money and leads to happier clients. Learn more about Barbecana, Inc.